To introduce the joys of gardening to the ever expanding world of social media, we've decided to exhibit at the ninth annual BlogHer Conference in Chicago this year. BlogHer is the world’s largest conference for women in social media. Reaching 92 million U.S. women each month across blogs and social media, BlogHer is the leading cross-platform media network created by, for and with women social media leaders. In 2012, 5,000 bloggers attended BlogHer ‘12, bringing together social media experts in food, parenting, health and wellness, entertainment, style, social change, politics, technology, and business. This year, we will introduce this important group to a new category - gardening. As first time BlogHer sponsors, we want to ignite a gardening fever with some of the world’s most influential bloggers who can reach a new audience and share their stories about the joys and rewards of gardening. We open our “Garden Shop” July 25 - July 27 at the McCormick Place Chicago. The booth allows attendees to “shop” in a beautiful pop-up tent filled with flowering plants and new garden products. 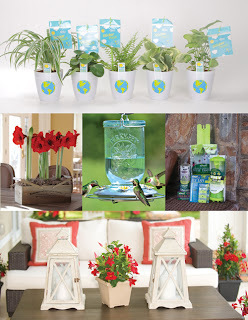 We will also offer giveaways, and educational materials on gardening, including top gardening trends and story ideas. Follow #GardenShopGiveaway for contests and giveaways provided by Costa Farms®, RESCUE!®, Suntory® Flowers, Longfield Gardens® and Perky-Pet®, the garden stars who are helping us introduce gardening to this new audience. It's no secret that bloggers are extremely influential. They are the trusted friend to literally hundreds of thousands of potential new gardeners, and BlogHer is a great place for us to get to know them. With 25 years of experience in public relations, we know the importance of connecting with media influencers on a personal level. Developing meaningful and beneficial relationships at BlogHer’13 will help us reach more people and get them into gardening. If you're planning on attending BlogHer '13, let us know! 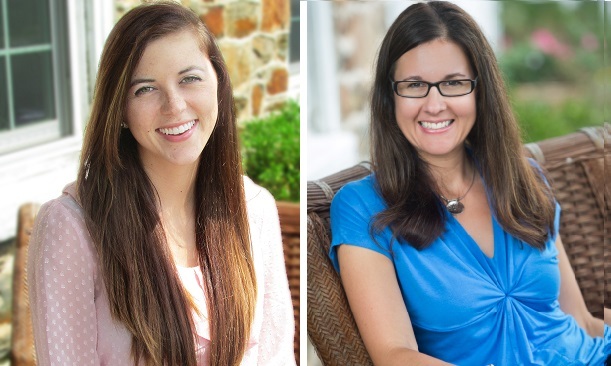 Stacey and Megan, pictured above, will show you around our "Garden Shop" and offer you a breath of fresh, clean air. Stop by Booth #2326 to learn more. And if you can't attend this year, virtually follow along via our @GardenMedia twitter handle and our Garden Media Facebook page July 25- July 27 for news, updates, photos and more!